Seventy years after the 1st (Solomon's) temple was destroyed by King Nebuchadnezzar, the 2nd (Zerubbabel's) temple in Jerusalem is rebuilt just as was foretold by the prophets (2 Chronicles 36:21, Ezra 1:1-3, 6:15, Isaiah 44:28, 45:1, Jeremiah 29:10, Daniel 9:2). Construction of the 2nd Jewish temple began in 538 BC with the return of Jewish exiles from captivity in Babylon. Although the temple was officially consecrated in 516 BC, Herod the Great, the Roman client king of Judea (37-4 BC), dismantled and made tremendous upgrades to the already infamous temple in 20-19 BC. This third construction henceforth became known as Herod's temple. The Romans besieged Jerusalem and destroyed Herod's temple in 70 AD. 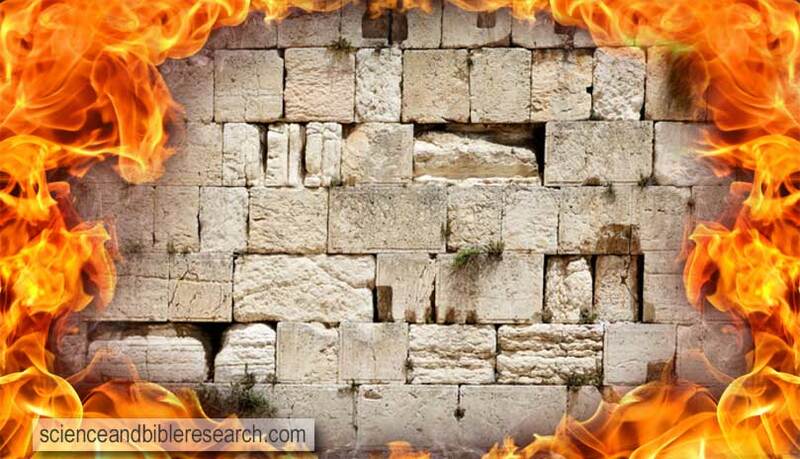 Today, the only remnants of the 3rd Jewish temple are the four retaining walls that Herod built, the most famous being the Western (Wailing Wall or Kotel) Wall. Although these walls existed in Jesus' day, they were not part of the temple proper that Jesus referred to when he prophesied its destruction (Matthew 24:1-2, Mark 13:1-2, Luke 21:5-6, Revelation 11:1-2). Apostate Jews have tried to build a 4th temple for almost 2,000 years but have failed. For example, during the short reign of Roman Emperor Flavius Claudius Julianus (361-363 AD), Jews attempted the construction of what would have been a 4th Jewish temple. However, they were hindered by "terrifying balls of flame [that] kept bursting forth near the foundations of the temple, and made the place inaccessible to the workmen, some of whom were burned to death" . The site of the since destroyed 3rd temple is currently occupied by the Dome of the Rock, completed in 691 AD and built on the Temple Mount in Jerusalem. Thus, it seems that God is against the resurrection of a 4th temple. This is in accord with Jesus Christ's own words when he stated that the physical, 3rd temple structure would be replaced by a non-material 4th temple, that is, the Temple of his resurrected Body (John 2:19-21).